For Zach’s cupcakes, I used a orange cake with white icing decorated with a mish mosh of shavings and crumbs. After the warm up, came the real challenge. 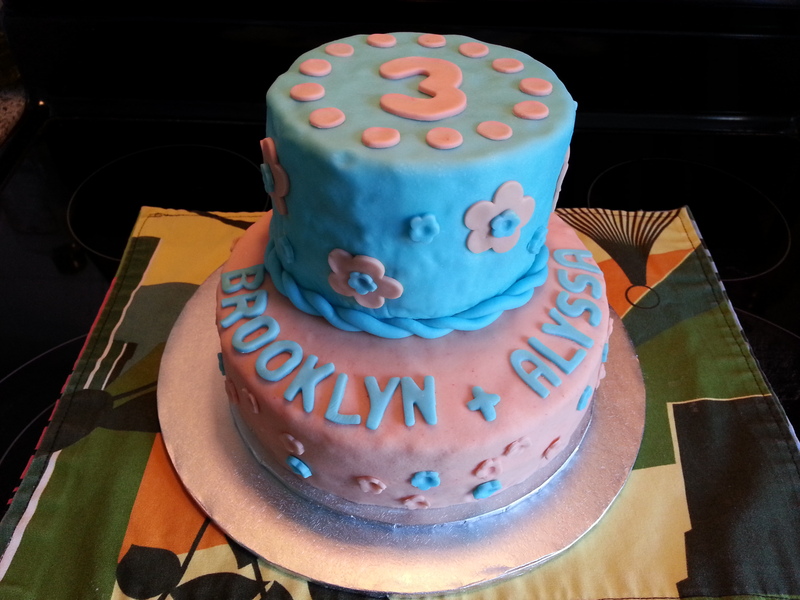 Every year (for the past few years), I’ve been making birthday cakes for the twins. And after every year, I try to top my last. This year, the theme was ‘Minnie Mouse Boutique.’ So at least that’s all figured out. 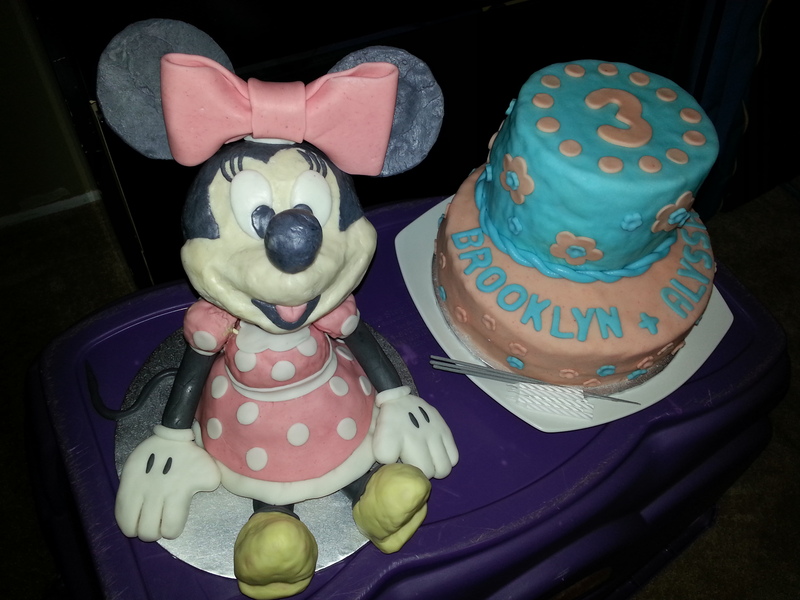 But even then, I was struggling between making the face of minnie as the cake, a mini minnie sitting on top of the cake, or a minnie cake. After looking through ideas online, nothing sparked my interested. Then finally, I decided to go for the gusto. 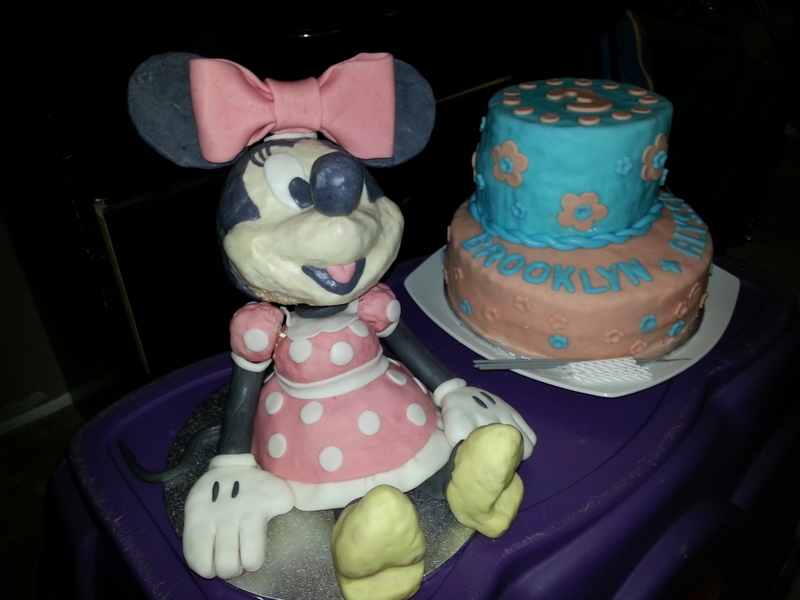 I’ve worked with fondant before, but this was my first attempt for making a large scale doll. 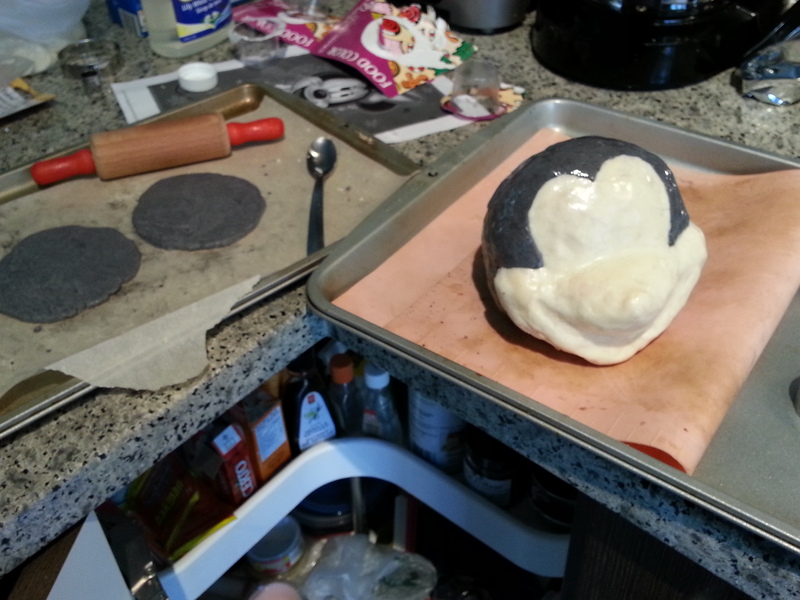 I knew fondant wouldn’t be stiff enough, so to make the head and body, I knew I needed something stiff. So I tried using rice krispie & special k mixed with marshmallow for the first time. 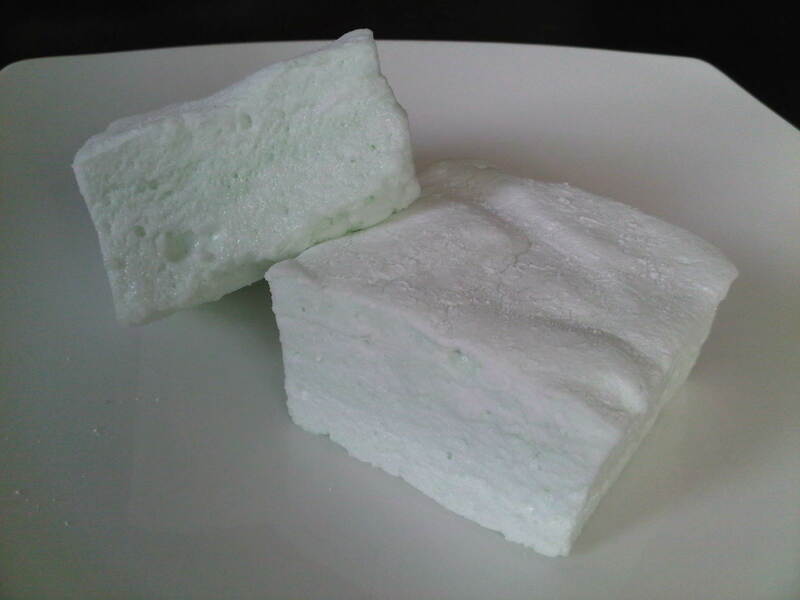 Use oil to line bottom of microwavable bowl, add marshmallows and water then microwave for 20-30seconds. Stir and repeat until melted. Add 6 cups of cereal and mix until desired texture (add another 1/2 cup if needed). Cover hands with crisco to keep it from sticking. 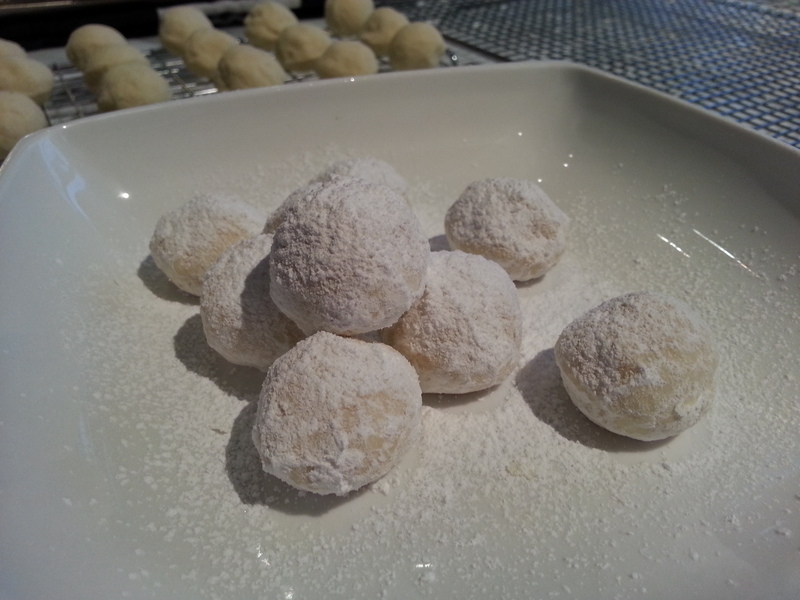 Form balls, lightly wrap it with suran wrap and let it sit to cool before moulding further. After resting, mould until desired! After shaping, I covered the head with modeling chocolate. In a microwavable bowl, heat the chocolate in microwave for 30 seconds. Stir. Repeat until melted, not bubbly (~ 3 to 4 times). Stir syrup in until mixed (do not over mix). 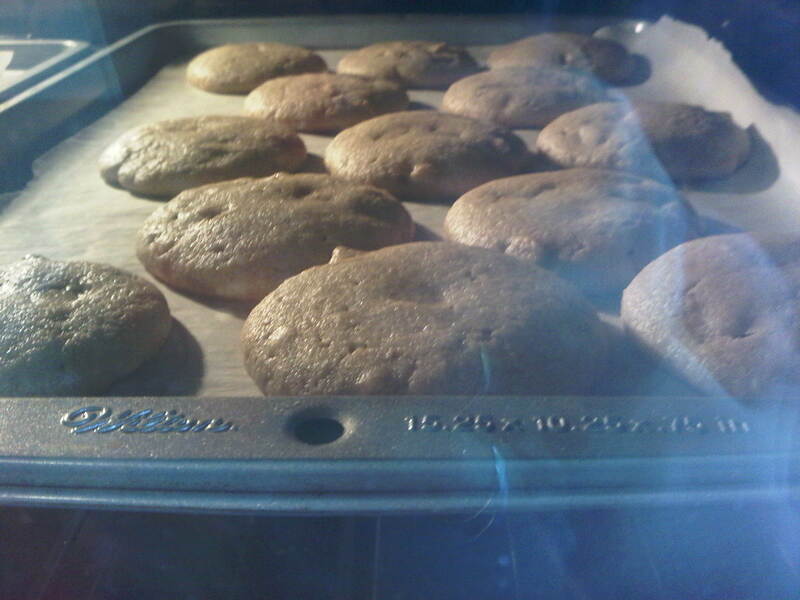 Place a 1″ thick layer on parchment paper to cool ~ 1 hour. Then, mould as you wish! 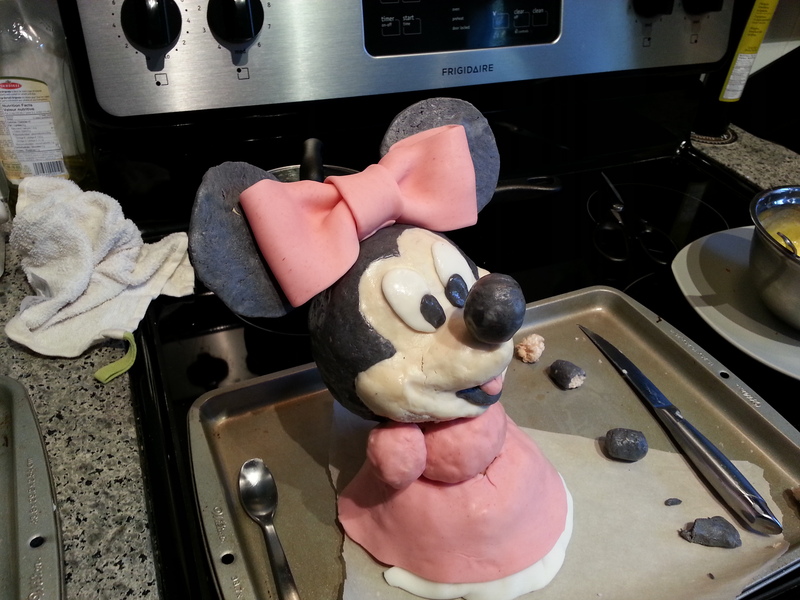 The clay is quite soft, so for the clothes, I used fondant for some structure. After making the head and body, I put them together for a quick check for proportions – perfect. Then I made the cake. I used a lemon pound cake. I wanted 4 layers, so I used pound cake for it’s density. 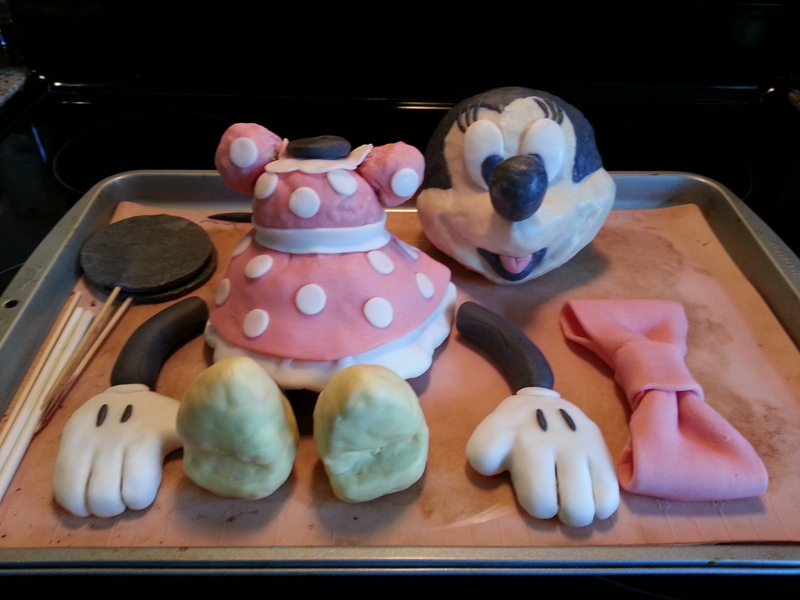 Covered with fondant… ready for tomorrow’s final assembly! Final touches on minnie including lashes, doka dots on her clothes, trimming and cuffs. 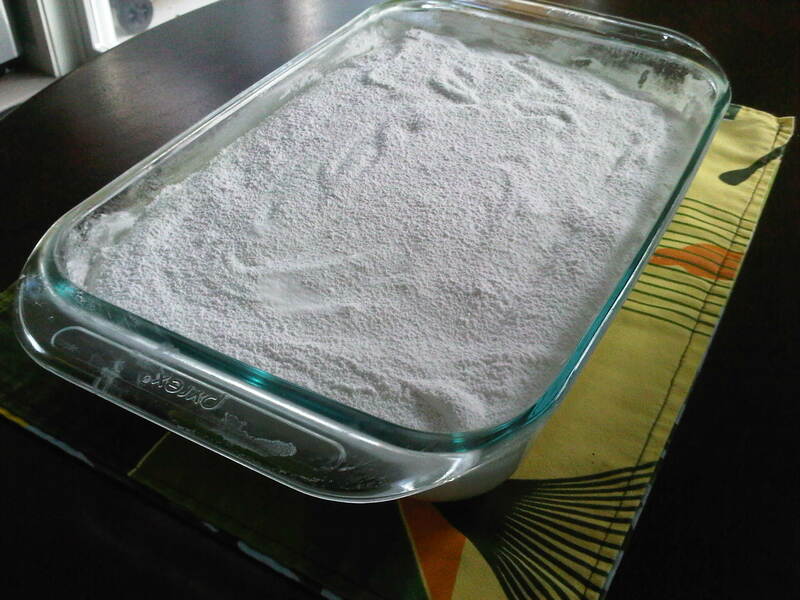 Cut lard into flour. Add sald. Combine egg and vinegar in measuring cup fill with water to 1 cup. Mix into flour mixture. Combine well. Roll out for pies, tarts, etc. Should make 4 double crust pies or more. Can be frozen. For the filling, I used the lemon filling recipe from Epicurious and it was fantastic, as is. 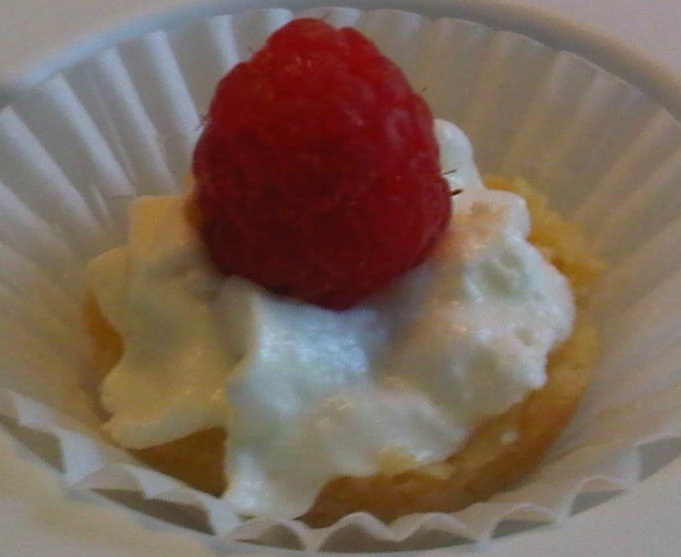 To top the tiny little tarts, I layered on about 1 tbsp of whipping cream and topped them off with a raspberry. The raspberries were quite heavy for the whipping cream (perhaps I didn’t shake the bottle enough), and found that the whipping cream slowly got crushed. 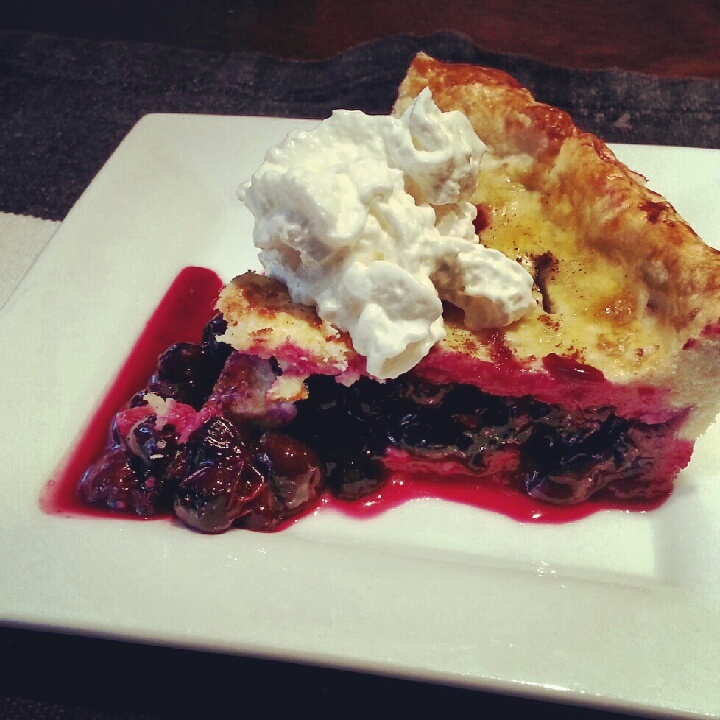 I’d recommend putting the whipping cream beside the raspberry or eliminating it as a whole. 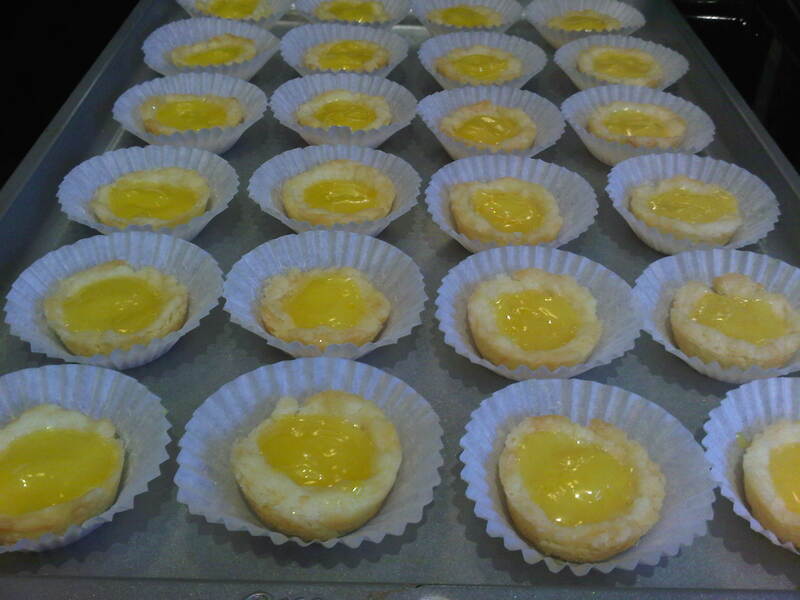 The lemon filling was so good! 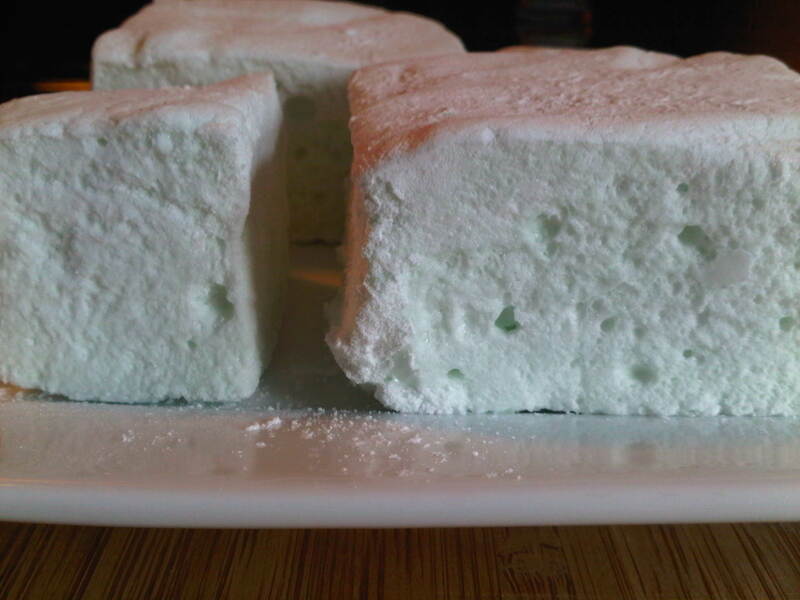 I was looking at the latest issue of “Edible Vancouver” magazine at my cousins’ house the other day when I was introduced to the idea of making my own marshmallows (recipe from magazine – I didn’t actually use this one). After putting it on the back burner for a few weeks, I decided they would be a perfect fit for my friend’s upcoming babyshower this weekend – so I did! 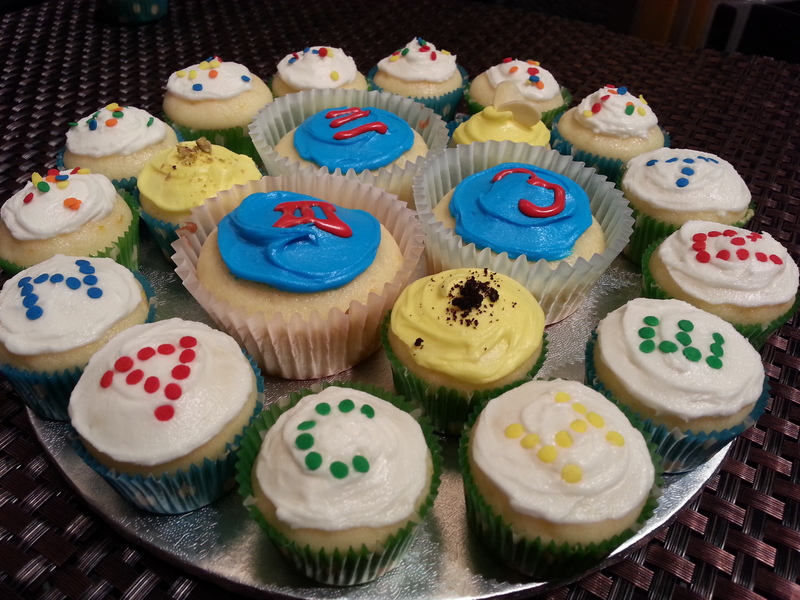 Like the baby, these treats are delicate, fun and sweet. 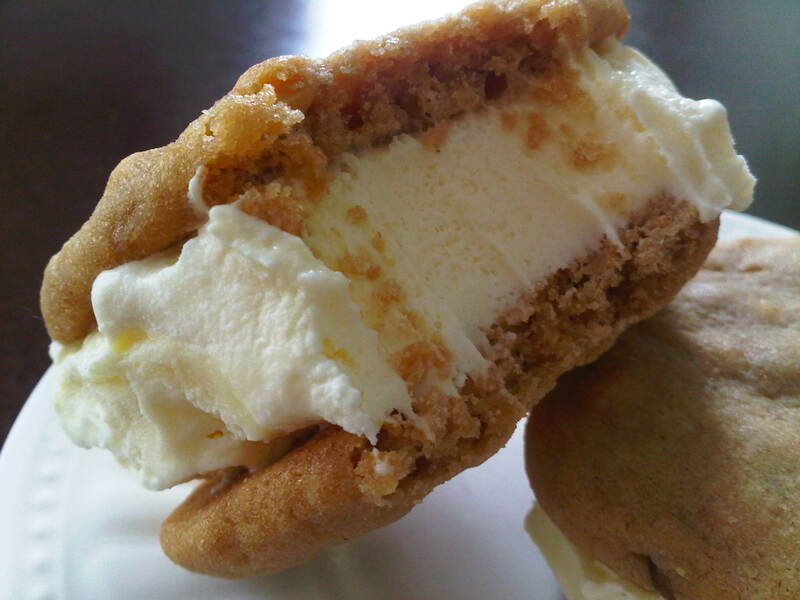 The recipe I used is from Epicurious. 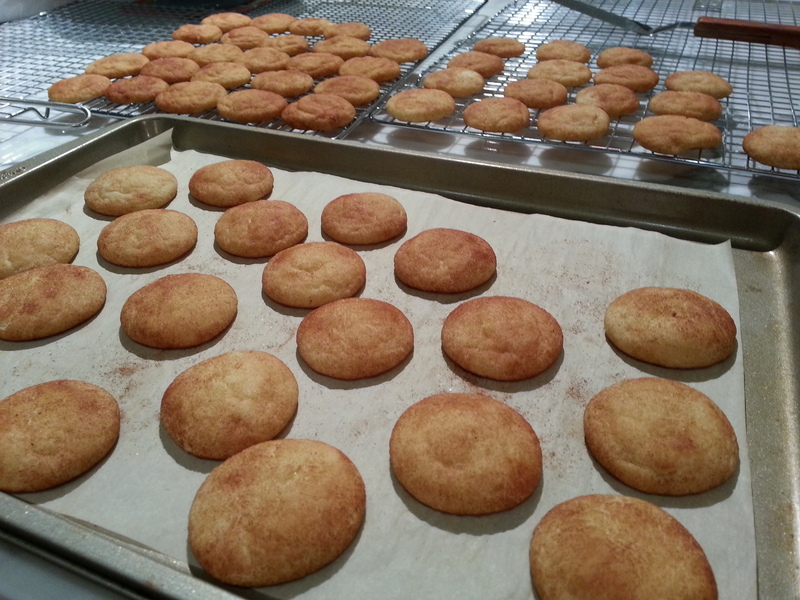 – They were set aside at room temperature to cool overnight, 11.5 hours to be exact. – I didn’t have a candy thermometer and just waited 12 minutes for the sugar mixture to boil. Personally, I found them to be slightly sweet, but I haven’t received complaints from anyone else who’s tried them yet. In fact, someone asked me to make one for him with the size of 1′ x 2′, so he can rest his head on it when he goes to sleep. 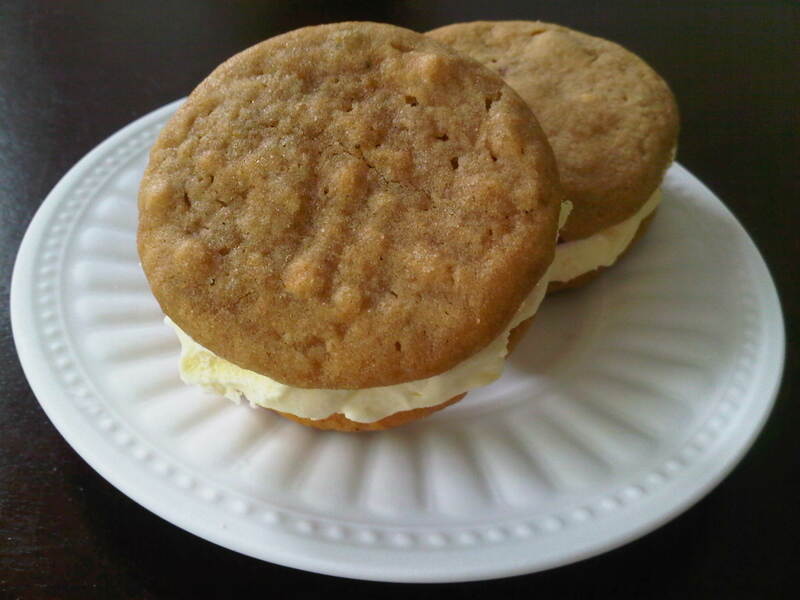 Others said they are comparable (if not better) than store bought! I am not a messy baker to begin with, but despite my efforts, I found splatters of marshmallow everywhere from my socks, to my pants to my appliances nearby. But perhaps my hand held electric mixer was too aggressive for the job, or that I needed an XXL bowl – not sure. 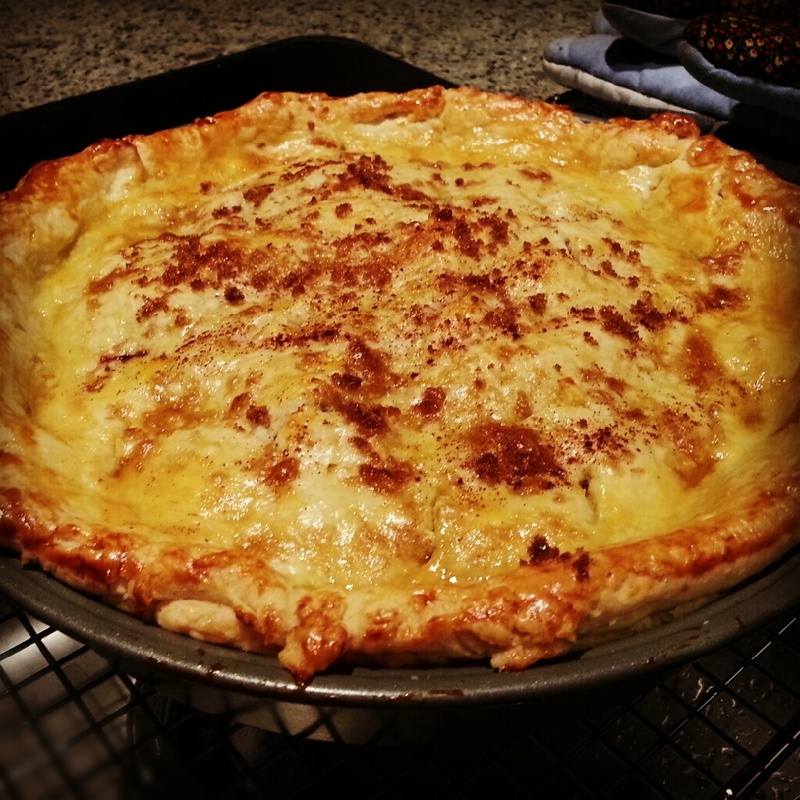 Great recipe, easy to follow. I recommend a stand mixer to give your arm a rest! We had angel food cake at a friend’s birthday a few months ago and that’s when I remembered how delicious and delicate it was and that I’ve never attempted to make it before. So then I did. Few quick facts about this cake: no butter (good, ‘check’), no oil (good, ‘check’) and small amount of flour (good: ‘check’). However, it uses 10-12 eggs (1-1/2 cup whites only). 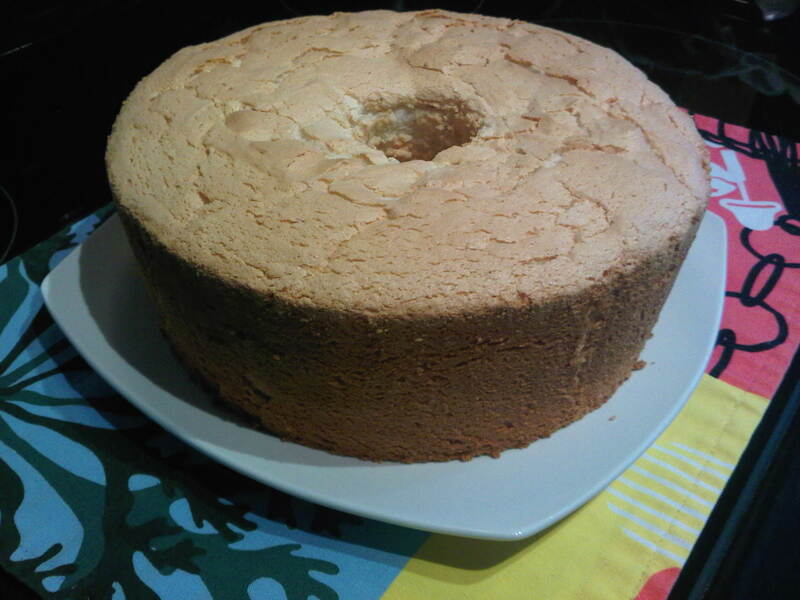 I wasn’t going to comment much on this recipe, I followed it closely and turned out wonderful and angel food cake pretty much speaks for itself, but I have heard that sometimes the cake will deflate. Few tips: temperature, whip, fold, cut and flip. Temperature: don’t be afraid to leave the eggs in room temperature for 30 minutes prior to whipping (ie. don’t use them straight out of the fridge). Whip: (or lack of whipping) don’t overwhip – once the stiff peaks are formed, stop yourself. 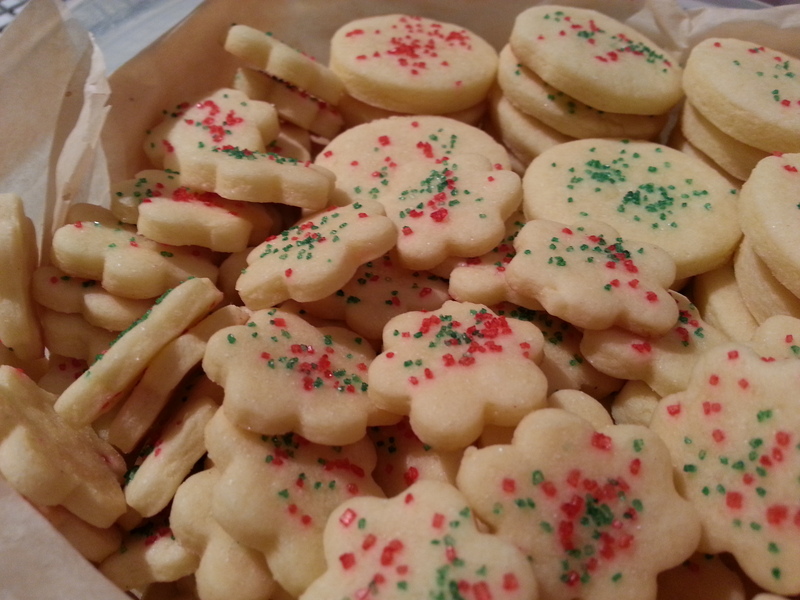 Fold: add in the flour and icing mixture 1/4 cup at a time and fold it in. Cut: after carefully spooning your mixture into the pan trying your best to avoid air pockets, cut the cake from the center outwards ~ 15 to 30 times to remove air pockets. Finally, flip: after baking your cake, flip the cake upside down (still in pan) resting the legs of the pan on top of a cooling rack to increase air flow. This will help decompress and keep it fluffed up. I baked mine for 40 minutes (without peeking) and it was excellent. 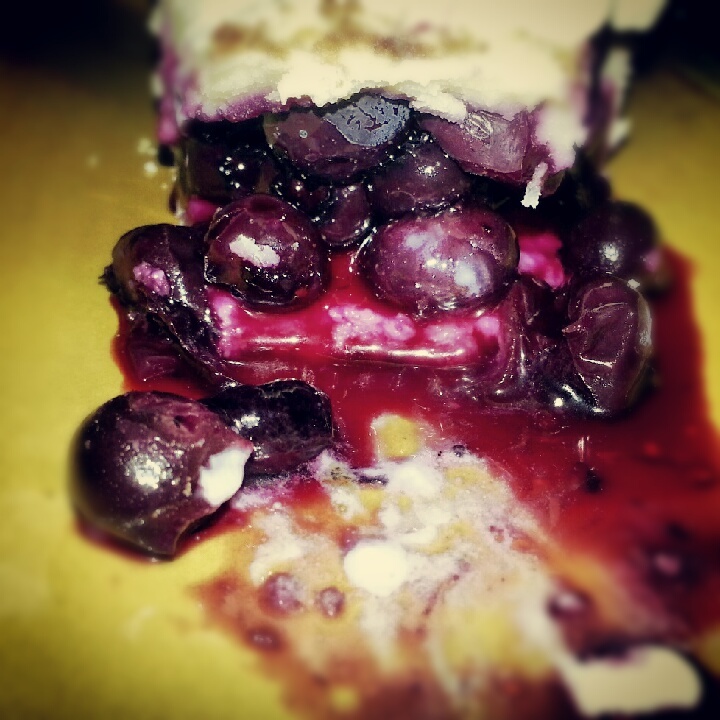 I served it as a birthday cake. 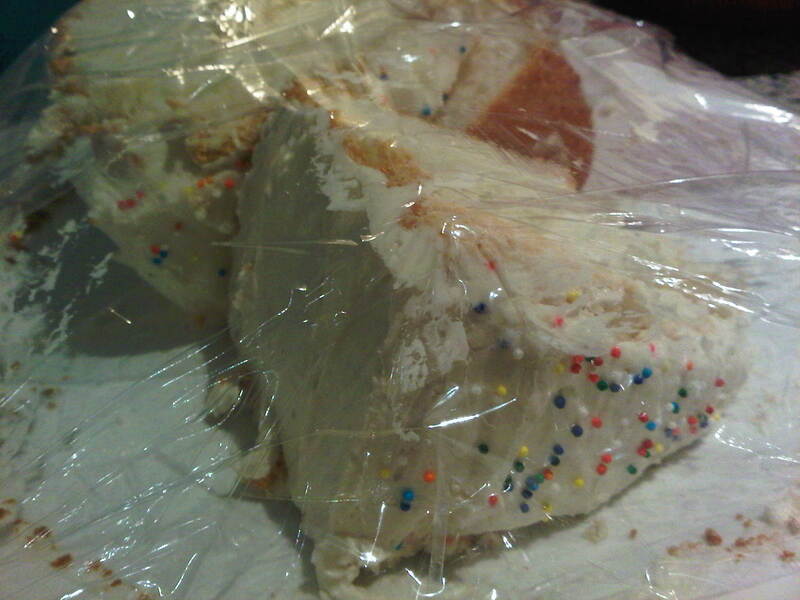 At the end of the night, there were 3 pieces left, so I wrapped them up to keep them fresh. 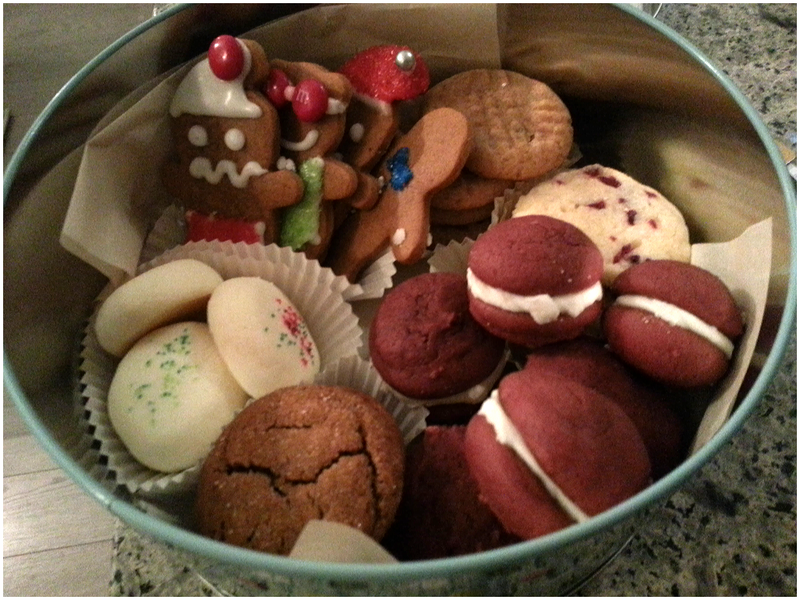 But before long, they were finished in no time – no need to wrap!